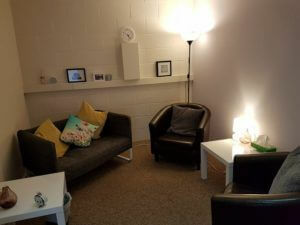 Avenue Therapies’ Southampton Clinic is located on the Basepoint Business Centre site, which is just at the bottom of Itchen Bridge and within easy reach of the main routes into Southampton, Hampshire. It is also within walking distance of the cafes at Ocean Village. We have a number of Clinical Psychologists and Psychological therapists working in Southampton as well as our Occupational Therapist. We can offer appointments during the day time, evenings and weekends to fit around your schedule. There is free parking available on site, please ask your therapist for a permit. Alternatively, there is on road pay and display parking just outside the gates charged at £1 per hour.